We are a local web design company that can help you create a new website, replace an outdated site, or edit and maintain an existing WordPress website. 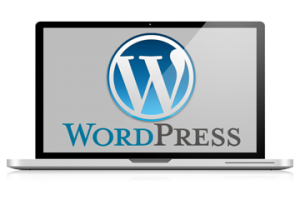 We design websites using WordPress, the most popular content management system (CMS) in the world. WordPress holds over 58% market share in the CMS arena, with more than 100,000 new WordPress sites created every day! Why is it so popular? It's inexpensive, flexible and easy to use. Its popularity is feeding its growth; the more people that use it, the more features get added, and the more plugins to add specific functionality are developed. It's a solid platform you can trust will be around for the long haul. What sets us apart from other Web Designers? When Social Spark Media creates a website, it's more than just an electronic brochure, it's an interactive marketing tool. Our full service web design includes using our SEO consulting services to develop a website that converts visitors to customers. That means creating strong calls-to-action so your customer knows what to do next, email opt-in forms, and connections to all of your social media. When your website is finished, it's a complete package designed to educate and inform your customer about your offering, and compel them to take action. We take pride in thoroughly researching and testing all of the tools we use for our web design business, to make sure they are fast, secure, stable, have solid support and are great for SEO. That's why we use industry leading tools like the Genesis Framework by StudioPress, and the Beaver Builder theme and plugin, to develop websites. There are thousands of plugins available to add functionality to WordPress, but before we load any new plugin on a website, we make sure they have good reviews, a solid base of installs, and a supportive developer. Security is important to us, and along with a solid host to protect you from internet predators, we recommend our WordPress maintenance service to keep your plugins up-to-date so the hackers have no way in. We are strong believers in managed WordPress hosting, which provides security firewalls, solid customer service, performance and stability, as well as a staging area for testing out new features, and nightly backups that can be restored with the push of a button. We know that Google puts a lot of weight both on how fast your website loads, and how mobile friendly it is, that’s why we develop all of our websites to be responsive to the screen size they’re viewed on. That means smaller fonts and images for smaller devices, and columns that stack as the viewport gets smaller. Since large images can dramatically slow down a website, we make sure to optimize every one. The tools we use to build your website are also industry leaders in speed and mobile responsiveness. We didn't just start doing web design yesterday. We've been working with WordPress long enough to know what matters. The popularity of WordPress has created an abundance of web developers who want your business. When you choose Social Spark Media for your website project, you know that you've chosen a business with integrity, that appreciates quality, customer service and trust, and most of all, we appreciate you. Ready to create a website that will make your business stand out in a crowd and ignite your brand?